Music for Aardvarks Class Now Enrolling (Music Program for Children 6 months to 5 yrs) FREE! Here’s a list of Fourth of July celebrations around town. The events with fireworks are marked with (*). Peabody Rooftop Party, July 2, 6 p.m. – 11 p.m., $15, 21 and up. Kick off the July 4th weekend on the rooftop of the Peabody with high-energy band 17th Floor and a “backyard barbecue” menu theme. Patriotic Pops, Levitt Shell, July 2, 7:30 p.m., free, all ages. The usual Levitt Shell free concert series takes a patriotic turn this holiday with an American music sing-along. *Bartlett Fireworks Extravaganza, Bobby K. Flaherty Municipal Center Bartlett , July 2, 6:30 p.m., free. Bartlett’s annual celebration is more than a fireworks bonanza. Starting at 6:30 p.m., there will be live music from the Bartlett Community Concert Band, a car show, face painting and games with fireworks at 9:30 p.m.
Rec Room Independence Day Throwdown, Rec Room (3000 Broad Avenue), July 3 and 4, free to enter, all ages. Celebrate the USA at Binghampton’s bar arcade and game room on all day and night on Friday and Saturday. Play games (arcade, table tennis, beer pong, etc. ), purchase food from the grill and drinks from the bar, watch USA soccer on the big screens, or rent out a “living room” for an additional fee. The Rec Room is kid-friendly during the day, but more appropriate for 21-and-up in the evenings. Go here for more info. Millington knows how to throw down for Independence Day. The city and the Millington naval base are teaming up for the Flag City Freedom Celebration. Bring a picnic, cooler and lawn chair to Navy Lake for an impressive fireworks display. *Memphis Redbirds Red, White, and BOOM, AutoZone Park, July 3, gates open at 4 p.m., $6 (advance) and up. Just like every Friday, the Redbirds host a pregame Block Party starting at 4 p.m. with $2 drafts and live music. First pitch is at 6:05 p.m., when the Rebirds take on the Oklahoma City Dodgers while wearing special red, white, and blue themed jerseys and hats. And of course, fireworks after the game. Collierville’s Independence Day Celebration turns 30 this year. Head to H.W. Cox Park for live music and fun, and a fireworks show at 9:45 p.m.
*Germantown Fireworks Extravaganza, Municipal Park, July 4, 5 p.m., free. Make a whole day of your Germantown Fourth of July experience. Starting at 5 p.m., there will be moon bounces, games, crafts and food for sale, with the fireworks starting at 9:10 p.m.
Head just across the border to Southaven, Mississippi for the suburb’s annual Independence Day celebration. Doors at Snowden Grove Amphitheater open at 6:30 p.m. (picnics and coolers are welcome) and the fireworks start at 9 p.m.
Here’s another from across the border. The 16th annual Olive Branch Independence Day Celebration is a picnic-friendly celebration with fireworks at 9 p.m, plus food, vendors, and a KIds Zone. *4th of July Celebration, Mud Island River Park/downtown, July 4, 10 a.m./fireworks at 9:30 p.m., free to watch. This is the one everyone’s asking about: the usual downtown fireworks will launch from the south tip of Mud Island at 9:30 p.m. on July 4. The best views will be from Tom Lee Park, Beale Street Landing, other spots along the river, or any downtown rooftops you manage to get access to. Mud Island will open to the public at 10 a.m. and festivities and live music begin at 6 p.m.
Have one of the best views of downtown’s fireworks at the Twilight Sky Terrace party with a live DJ and speciality cocktails. *Fourth Party With Devil Train, Buccanneer Lounge, July 4, 9:30 p.m. – 3 a.m., 21 and up, cover TBD. Head to the Buc for their annual not-exactly-official fireworks display with a performance by Devil Train afterwards. 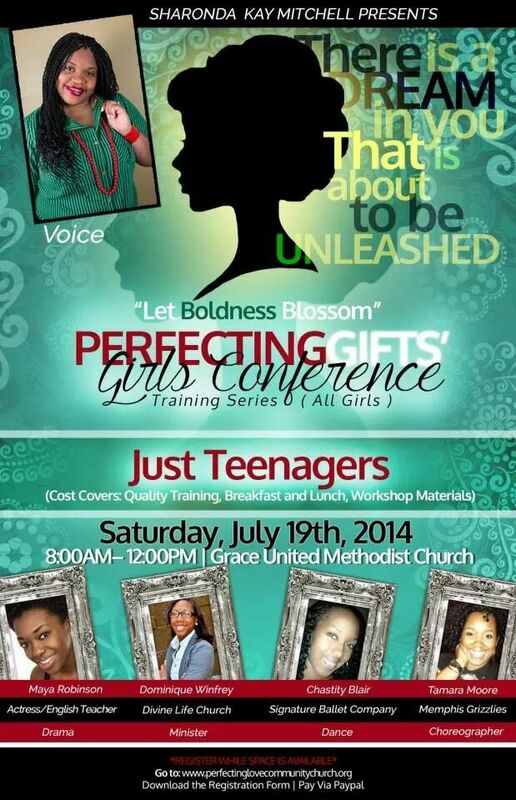 “Let Boldness Blossom” Perfecting Gifts Girls Conference (Just Teenagers) Training Series – Saturday, July 19th from 8 am- 12N @ Grace United Methodist Church. 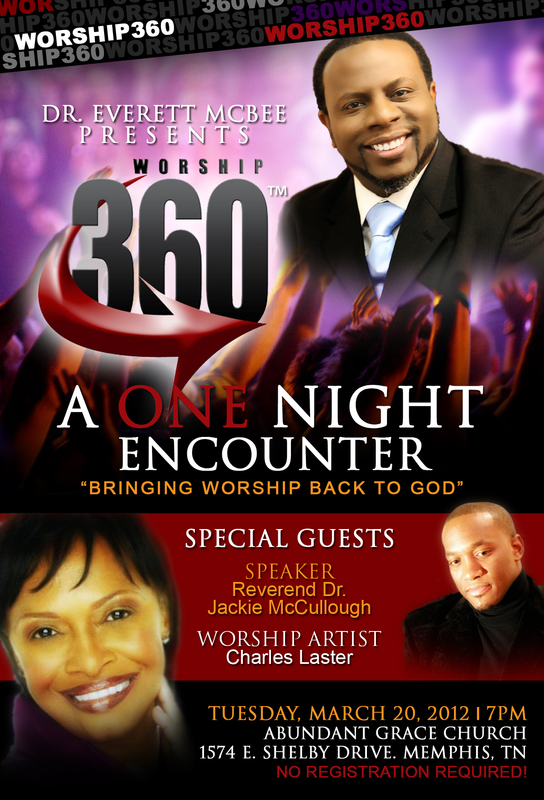 Dr. @EverettMcBee Presents…Worship 360! w/Dr. Jackie McCullough (@DrJMcCullough) & Charles Laster II! MEMPHIS, TN (October 17, 2011) — Grammy-nominated pop/rap artist, TYGA, also known as Michael Stevenson, will be in Memphis in to empower under-privileged and economically challenged youth as part of his R.O.A.R (Reach Out and Represent) Youth Empowerment Campaign at Booker T. Washington High School on October 26,2011 at 12:30pm. TYGA is thrilled to partner with Chris Brown for their highly anticipated F.A.M.E tour with Kelly Rowland and T-Pain. The tour will hit 28 U.S. cities. During the F.A.M.E tour, R.O.A.R and BULU will select a school in each of the twenty eight tour cities, engaging at least 2000 youth per city in schools and over 7 million fans per city via his social media platforms. 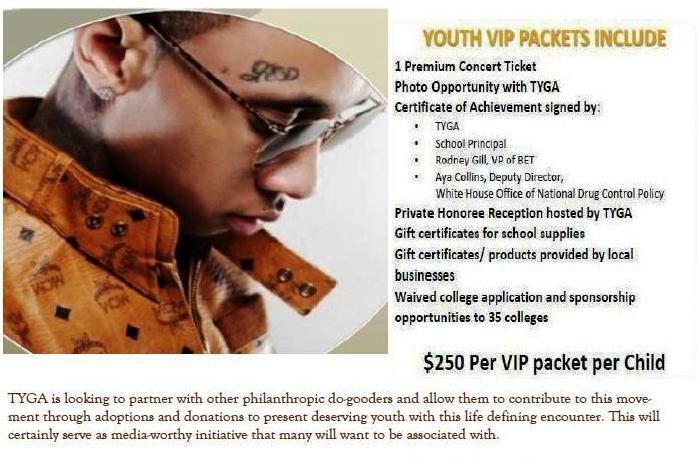 As part of the La Belle Vie foundation BULU (Be U Love U) program, TYGA will speak with and honor selected youth at Booker T. Washington with “TYGA TEAM” VIP packages and waived college applications. The students are nominated by the school staff for meeting criteria in three critical areas: attendance, grades, and behavior. 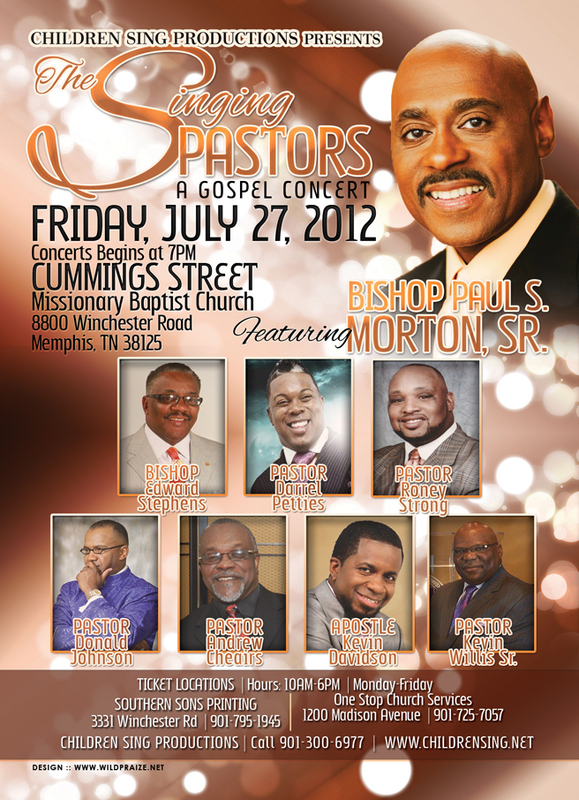 A Night of Love Honoring Lady Zanderia Davidson!